Producing up to 438Kgs of ice per day, the Ice-O-Matic ICE1005 modular ice maker is an all-rounder that can tackle any challenge you throw at it. Really. Large restaurants, nightclubs, ice bagging, large scale catering? You name it. The Ice-O-Matic ICE1005 really packs a punch in its category, and looks the part, too. Sporting a sophisticated, corrosion-resistant stainless steel front panel and fingerprint-proof plastic features that will always ensure a neat look, it also inhibits bacteria growth on its durable stainless steel surfaces on the inside thanks to Pure Ice technology. This guy will keep on delivering consistent ice production over its lifetime thanks to the unique Harvest Assist technology, which increases capacity while reducing energy usage. 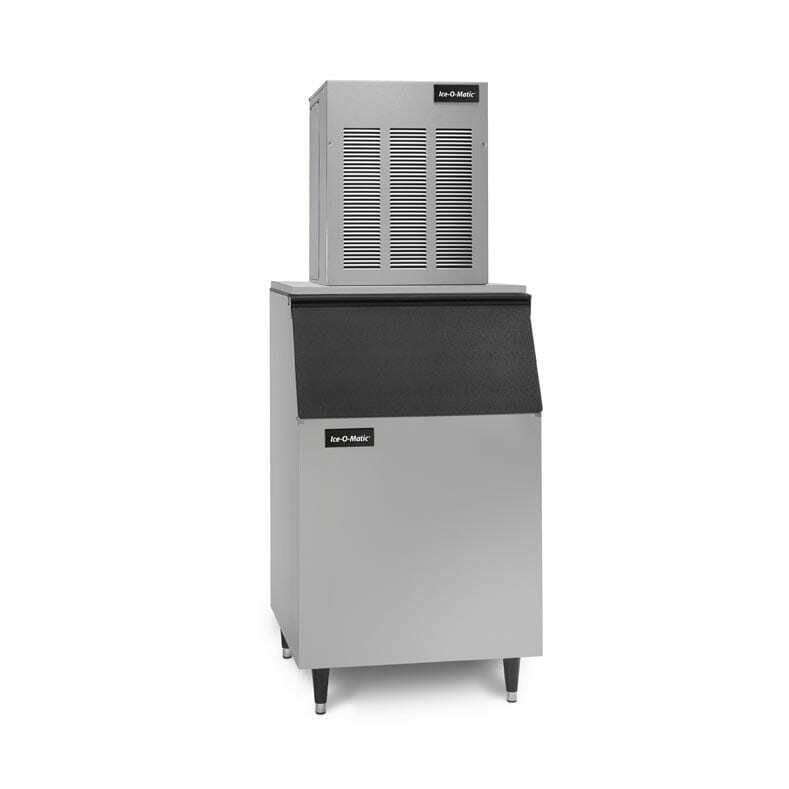 For an efficient cleaning and servicing of the unit, this ice maker has been fitted with an innovative quick-release panel system that enables full access to the foodzone by pulling out just two fasteners. A: Yes, this ice machine requires to be acid washed and sanitised regularly. We recommend cleaning the condenser monthly and the ice machine itself at least every 3 months. Check our Cleaning Products page.